The ModernTechs IT Solutions combine highly skilled and qualified professionals with proven best practice methodologies developed through real world experience with our many clients. The results are projects that are delivered on-time, within specifications, and most importantly, a solution that aligns IT initiatives with your current and emerging IT solution requirements and objectives. - Database Analysis and Design. - Systems Integration. - Help Desk/Service Desk. 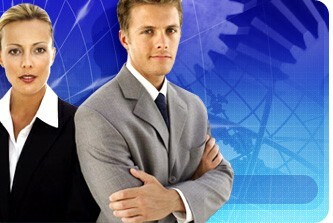 - Corporate Intranet/Extranet. - PC/Server Maintenance. - E-Commerce/Web Design. ModernTechs maintains a high level of industry knowledge based on real world experience, continuing education, certifications, and membership in professional organizations. View the Organizations Link at the Top of every page to view our ModernTechs IT and Business Consultants certifications and professional organization memberships. From providing Business Solutions to IT Management you'll have peace of mind knowing that your computer network and IT investments are supported by Certified Systems Engineers accessible 24 hours a day, 7 days a week via cell phone. You can even contact our engineers through e-mail or the Web. - To achieve greater productivity and significant cost-savings through the application of computer Business Services.